A wise man once said, “A folding knife is just a knife that is already broken.” Of course, many of us carry folding knives on a daily basis due to their compact nature and increased reliability due to modern technology; however, the truth remains that no matter how well built or how reliable the folder, the weakest link in the folder chain is the locking mechanism. Well, Three Circle Knives has solved that problem with their Be On the Look Out (B.O.L.O.) Knife. The B.O.L.O. is a fixed-blade pocket knife that has a reversible/removable pocket clip mounted to the knife handle, and a custom Kydex sheath that has a pocket hook for one-handed deployment. When tucked inside the pocket, the B.O.L.O. sits in the pocket just like any other tactical folder. To deploy the knife, the user grabs the handle and draws upward and to the rear, causing the pocket hook to catch on the pocket seam and break away from the knife. The TCK B.O.L.O. is hefty little knife constructed out of D2 Tool Steel and coated with a black matte Cerakote® finish. I spent some time sharpening this knife (not that it needed it) to get an idea of how hard the steel is. If you have ever worked with D2 before, then you know that D2 can be a challenge to sharpen due to its hardness, and the B.O.L.O. is no exception; however, this knife will keep an edge for a long, long time. As long as you have a good sharpening system and know what you’re doing, then sharpening the B.O.L.O. will not pose a problem. As mentioned earlier, the sheath is molded from Kydex and has a notch cut out for a pocket hook. The system works well as it is intended. I found with certain types of pants the sheath would occasionally roll out and fall to the ground during deployment. I found this could be easily remedied by connecting the included ball chain to a key ring. This serves as a type of anchor to keep the sheath attached to the pocket in the event that it rolls out. With most of my blue jeans and everyday pants/shorts, the Kydex sheath remained inside the pocket as intended without the added measure described here. The sheath can also be worn around the neck using the black ball chain. The B.O.L.O. is heavy, though, and I found that after a couple of hours of wearing it as a neck knife, I was ready to put it back in my pocket. Using a strand of 550 cord instead of the ball chain proved to be much more comfortable for extended wear due to the larger surface area of the cord. The B.O.L.O. has some nice jimping on the spine and pommel. The jimping on the spine is located perfectly for thumb-supported cutting, which this small blade is ideally suited for. The jimping on the pommel aids with reverse grip work and helps prevent the thumb from slipping off. It also makes for a nice impact surface for pommel strikes. Three Circle Knives is located in historical Franklin, Tennessee and is co-owned by Travis and Michelle Hill. The name “Three Circle” is derived from the Japanese Sanmitsu—Action, Thought, and Word. This husband and wife team are passionate about knives and try to implement those three elements of elements of action, thought, and word into their work, with the end goal of providing high-quality, handmade knives at a reasonable price. Travis is also a certified defensive knife instructor who brings his knowledge of edged weapons implementation to the forefront of his designs. The B.O.L.O can be purchased directly through the Three Circle Knives website. Every TCK knife is handmade right here in the good old United States (‘Merica!). Be sure to check out their Instagram, Facebook, and Twittter accounts as well. These guys have some really good designs. If their Satori Tanto is anywhere near the quality of the B.O.L.O., then I may just have to get my hands on one of those. 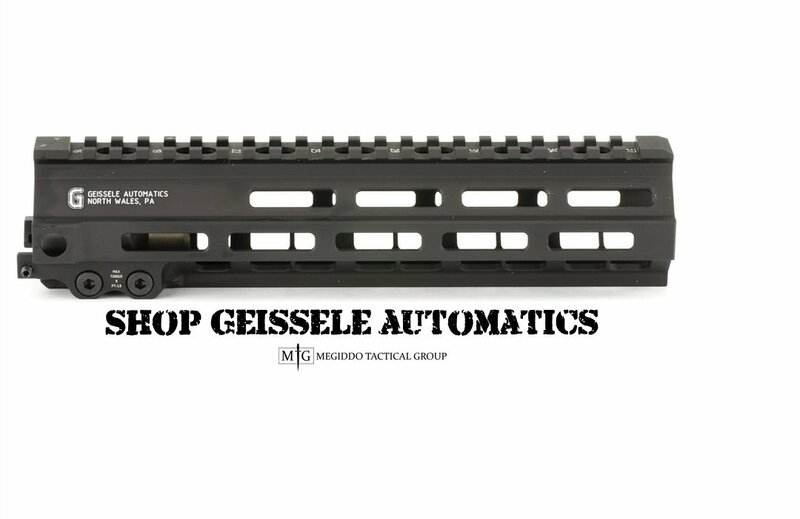 PreviousMegiddo M-LOK Covers Spotted in Guns and Tactics Article!